God has a wonderful plan for your life. That’s how a popular evangelistic tract of the 70s and 80s began. The implication was that if you decided to become a Christian your life from then on would be wonderful. But was that true? “Give thanks to the LORD, for he is good; his love endures forever.” (Psalm 107:1). “Taste and see that the LORD is good; blessed is the one who takes refuge in him.”" (Psalm 34:8). Certainly there’s a recurrent them in the Old Testament that those who obey the Lord will be blessed, will live a long and happy life. But is that the experience of every Christian? Is it even the experience of most Christians? I wonder, if you were here last week, how what Steve said about prayer has affected your prayer life, especially what he said about prayer in times of difficulty, when you just can’t find the words to use. But maybe that isn’t your problem. Maybe you’re happy to pray whatever your circumstances. Or is your problem that you’re not sure if you’re good enough to pray? Are there times when you feel like you’ve been so disobedient that God won’t hear you; or perhaps that your problems are so insignificant that you shouldn’t worry God with them? 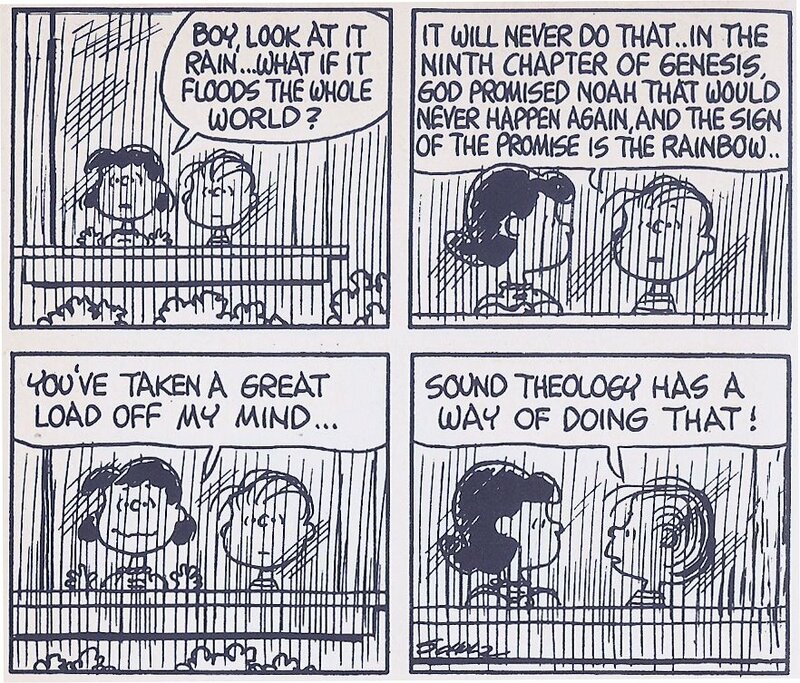 Well, as Linus would say good theology can be very reassuring. Today we’re thinking about Generosity but before we talk about that I’d first like to do a little test. I’d like you to put up your hand if you consider yourself to be holy. Anyone? You are a chosen race, a royal priesthood, a holy nation, God's own people. So put up your hands now if you consider yourself to be holy. Of course there’s a big difference between being holy and acting that way isn’t there? So what does it mean to act as in a holy way? I guess you’ve worked out by now, if you’ve been here over the last three weeks that the theme of this sermon series is cutting back on the busyness of life. What do you think? Is your life too busy? Do you find yourself trying to pack as much in to your life as you can? Stopping at an airport stopover on the way to holidays to visit friends or relatives you haven’t seen for a couple of years? If you’re a parent do you find yourself dropping one child at ballet, taking the next to a piano lesson, doing the shopping then hurrying back to pick them up in the reverse order? If you’re a worker do you find yourself arranging meetings one after the other with no break in between? I haven’t done all of those, but I know others who do. I wonder if you’ve ever had the experience of suffering for your faith. I think for most of us that would be a rare occurrence. Though of course suffering for your faith can take lots of forms. In Australia it rarely comes in the form of physical suffering, though it certainly does in other parts of the world. In Australia it’s more likely to be in the form of disadvantage in employment, or being shunned by friends, or being mocked for your beliefs. In the public arena it often takes the form of being sidelined or ignored in public discourse in political policy making. Mark 11:27-12:27 - Who do you listen to? That story addresses the issue of our passage today. That is the issue of authority. Where does authority come from? Sometimes it comes from your rank or status, as the commander in that story obviously assumed. But sometimes it comes from something innate like the immovable nature of a lighthouse set above a cliff. So where do you look to for authority for your life? That’s not an easy question to ask in this day and age. Life has changed so radically in the last 50 years that what was taken for granted 50 years ago can no longer be assumed. Truth is all relative, we’re told. Alternative facts are the go. Authority comes in various shapes and forms. Read more: Mark 11:27-12:27 - Who do you listen to?